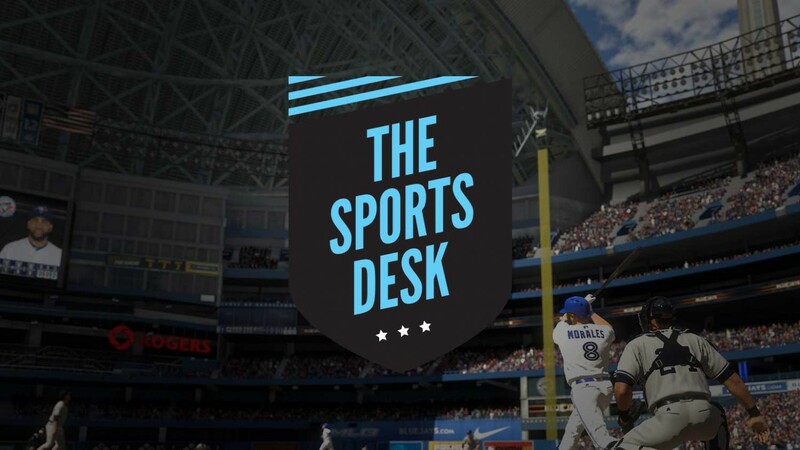 The MLB franchise has struggled in successive years with the stability and general implementation of its online infrastructure, and hopefully fixing this is a major focus for series' developer San Diego Studio (SDS). But that's not the only area that needs work. Here's an offseason to-do list for a franchise that's at a crossroads between executing on its promise and becoming stagnant. Players didn't like MLB the Show 18's hitting, whether it was a case of there being a discrepancy between offline and online hitting, actual versus expected contact outcomes, or simply what kinds of hits they were getting. SDS released multiple patches to try and address the hitting, but people still weren't happy with it. I have no idea exactly how SDS can address the issue – it's likely due to a rabbit hole of interconnected variables, and might not be easy to fix. However, hitting this year has been, at a minimum, divisive, so here's hoping MLB 19 addresses the issue in some way. Games' online meta dictating the strongest gameplay strategies at any given point changes after release, and one of MLB 18's pitching metas was the strength of low offspeed pitches and, conversely, the fact that throwing a fastball was inviting trouble because of slow pitch speeds. This needs to be addressed so pitchers can use all the pitches in their repertoires. Reduce fielding errors like players running over the ball or being unable to pick it up, as well as the triggering of incorrect animations like outfielders jogging for balls. Modes like Diamond Dynasty that use online are addressed below, but in general SDS needs to avoid yet another launch period online disaster, cutting out latency, drops, disappearing items, and late-appearing DD program requirements. In general, some kind of grind in a fantasy mode is necessary, but it would be nice if some of it was eased in Diamond Dynasty. Necessary souvenirs can go for a lot on the marketplace (where it's not as easy to make Stubs this year), chasing some of the specific gameplay goals can be draining, and including the programs and career arcs, the road to the Immortals is long and elaborate. Also, any way to add variety to the experience/requirements is always welcome. Thankfully SDS toned down the need for souvenirs after launch, but it would be cool if you could actually wear/use them. The ability to set-up and switch between different sets of lineups would be awesome. We'd rather be playing games than fussing in menus. Similarly, being able to pick our pitchers versus randomly selected ones for offline would be great. Adding managers would be a cool way to get the most out of your lineup, and it would be another item influencing the marketplace, programs, etc. Bring back online franchise mode. Create-a-ballpark as well as the ability to customize your team like in Road to the Show mode. MLB 18's use of archetypes nixed the ability to apply points the way you wanted, putting hard caps on your player's attributes. We can see the positives and negatives of both systems, but in general we're going to side with giving gamers more freedom in how they sculpt and grow their players. Player growth is spurred by your success on the field, so the game needs to make sure it correctly registers when your player performs in clutch situations, for example. The mode offers a good avenue for storytelling, and this could be expanded, particularly through more meaningful coach and teammate interactions. The NBA 2K franchise has created a whole world for its player-characters, and games like MLB should do the same. On the topic of communication, we'd like the ability to call our agent for a trade request, etc. whenever we want. The game can still be wonky about deciding if your player should be called up to the majors, earning a starting spot, and appropriately reacting to your progress. Contract money in the mode should be meaningful. Being able to buy equipment or even a NFL 2K-style Crib would be great. It would be nice to be able to play as and build up a real-life player in the mode.